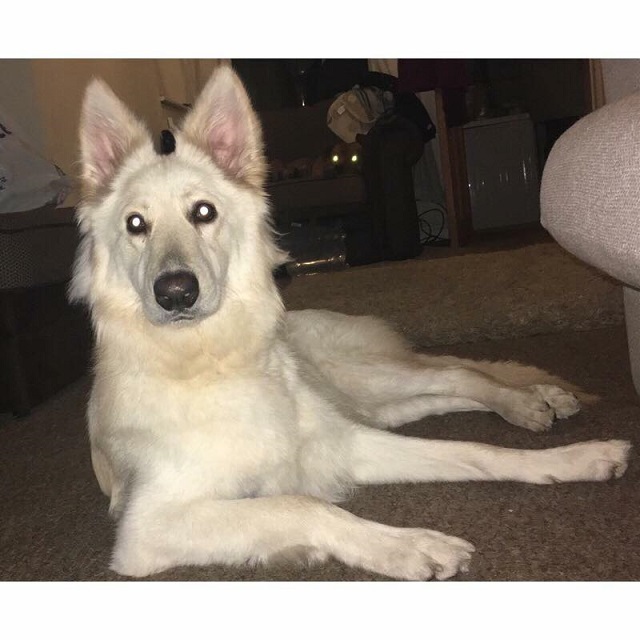 What a beauty we have in 18 month old Alaska, a slightly nervous girl who would benefit from an experienced owner to help build her confidence. Alaska is only a youngster and still has a tendency to mouth and jump up but this could easily be corrected. In the home Alaska lives with another dog and a cat. She is good around dog savvy children. Asked if Alaska chews on her assessment we were told - dont leave your socks lying around Alaska will have them! She is a clever little girl in that she can open doors and take herself off to where she wants to go in the house. Outside Alaska loves to play ball and if you are dancing around the house she will gladly join in. Alaska has basic commands and is ripe for further training. Please contact us if you think this pretty girl is the one for your home but remember you might have to be patient until she settles around new folk.